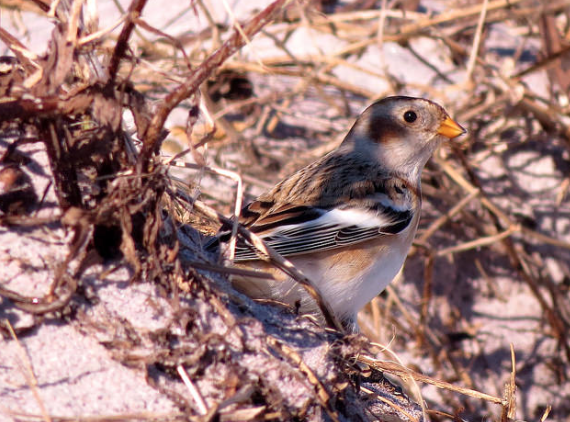 Newburyport Birders Guided Birding Tours | Newburyport Birders Programs Oct. & Nov.
Newburyport Birders Programs Oct. & Nov.
19 Sep Newburyport Birders Programs Oct. & Nov.
Waterfowl are abundant at Salisbury Beach State Reservation. Common Eiders and all three scoter species are often in large flocks. Loons and grebes are easily observed, and easterly winds bring in razorbills, gannets and sometimes kittiwakes. 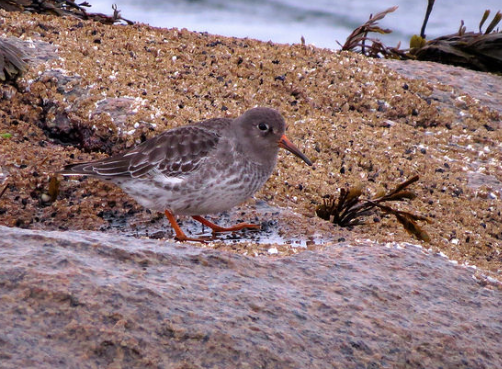 Purple Sandpipers gather on the jetties at high tide; Iceland and Glaucous Gulls can be seen in the cooler months. 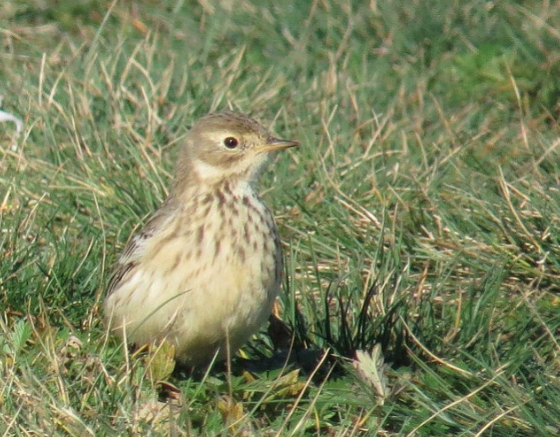 The campground area is a prime area for Horned Larks, Lapland Longspurs and Snow Buntings. The pines along the marsh edge often harbor owls and hawks. On Badger's Rocks at low tide, we usually see Harbor Seals hauled out. Wintering waterfowl are abundant at Salisbury Beach State Reservation. Common Eiders and all three scoter species are often in large flocks. 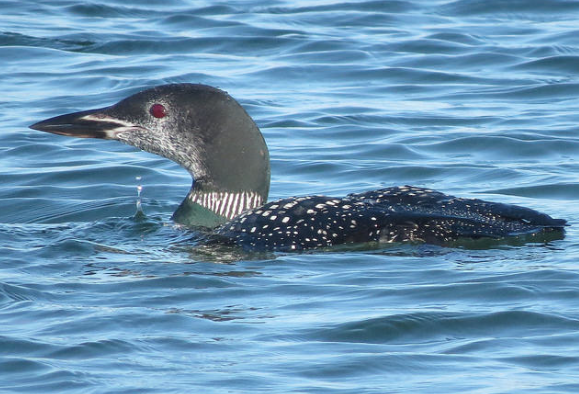 Loons and grebes are easily observed, and easterly winds bring in razorbills, gannets and sometimes kittiwakes. Purple Sandpipers gather on the jetties at high tide; Iceland and Glaucous Gulls can be seen in the cooler months.The campground area is a prime area for Horned Larks, Lapland Longspurs and Snow Buntings. The pines along the marsh edge often harbor owls and hawks. On Badger's Rocks at low tide, we usually see Harbor Seals hauled out. Join us for an afternoon of birding at the Lot #1 at the Refuge. Doug Chickering will read from his book. Reflections on a Golden-winged Warbler.We’ll explore Parker River National Wildlife Refuge during this interpretative program. The focus will be on field marks and where these migrants are headed. 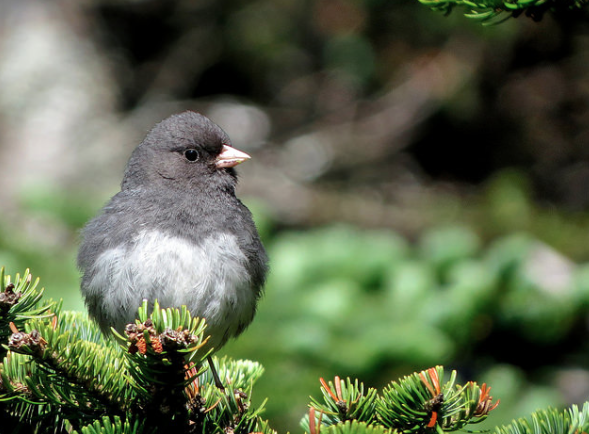 We’ll be watching bird behavior at this premier, birding destination. Dress in layers. Light refreshments will be served and copies of the book will be available for Doug to sign. “It was the magic of Doug Chickering’s prose, observed on the Massbird Listserv, that led ­me to begin reading them on my radio show and to inviting Doug to read some himself. How wonderful that many of his beautiful and thoughtful pieces have been assembled in this ­delightful book. 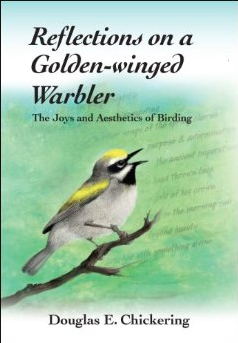 I recommend Reflections on a Golden-Winged Warbler heartily to all who love birds and to all who enjoy wise and insightful observations expressed with beauty, ­eloquence, and a clearly-expressed love for our natural world.” – Ray Brown, host of the Talkin’ Birds radio show. “The short birding stories of Douglas Chickering are truly inspirational. He demonstrates the pure joy and exhilaration of coming face to face with a plethora of birds on his beloved Plum Island and surrounding countryside. I have had the privilege of birding Plum Island often with Doug, and even 20 years on, I still have wonderful memories of those halcyon days. If ever a man has demonstrated the delights of ‘Patch Birding’ it has to be Doug. This book is a must have for anyone wanting to share those emotions.” -Derek Moore, British ornithologist and nature conservationist.